by Thomas James Streicher Author · Stanley Krippner Author of introduction, etc. Since prehistoric times all cultures report encounters with strange beings and crafts from the sky as well as stories of extra-planetary experiences—that is, travel to other planets, moons, and stars. In the case of modern accounts, these benevolent alien-human interactions bear striking resemblance to one another, even among people with no knowledge of other alien-human claims. And all experiences marked a spiritual turning point in the person's life, providing a loss of the fear of death, enhanced spiritual insights, a connection to cosmic consciousness, or increased motivation to be of service to humanity. Exploring fresh dimensions of ET contact and extra-planetary experience (XPE) using Harvard professor and researcher John Mack's witnessing approach to paranormal incidents, Thomas Streicher interviews 7 renowned people who have experienced XPE—including astronaut Edgar Mitchell, Norma Milanovich, and Stanford-tested remote viewer Ingo Swann—and shares the positive spiritual effects of XPE on their lives. 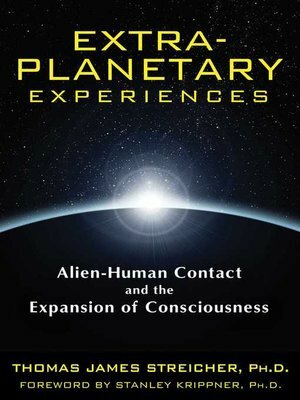 Placing their experiences in the context of historical accounts of alien-human encounters from ancient Sumerian, Vedic, Egyptian, Tibetan, Hopi, Dogon, and biblical records as well as 19th- and 20th-century testimonies from Orfeo Angelucci, Billy Meier, Elizabeth Klarer, and others, the author reveals the similarities of these experiences with those of his interviewees. Streicher shows these experiences are not contrived hallucinations but genuine transformative spiritual awakenings akin to near-death and out-of-body experiences.